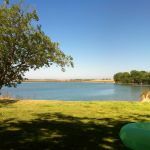 Ask fellow campers about "Turlock Lake SRA" and nearby attractions. 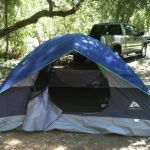 The campground, situated on the Tuolumne River, is part of the Turlock Lake SRA. At the time of our visit, we were the only motorhome in the park, aside from the campground hosts. Self-registeration was in process, though a very cordial Ranger came by later to check that everything was fine. About half the campground was closed down. We could see the river,about 100 feet away, from our space. Interior roads paved and RV spaces paved and level. Large trees throughout area. A very nice area to relax this time of the year for anyone not needing hookups. We camped at Turlock Lake SRA in a Motorhome. Are you affiliated with Turlock Lake SRA ?